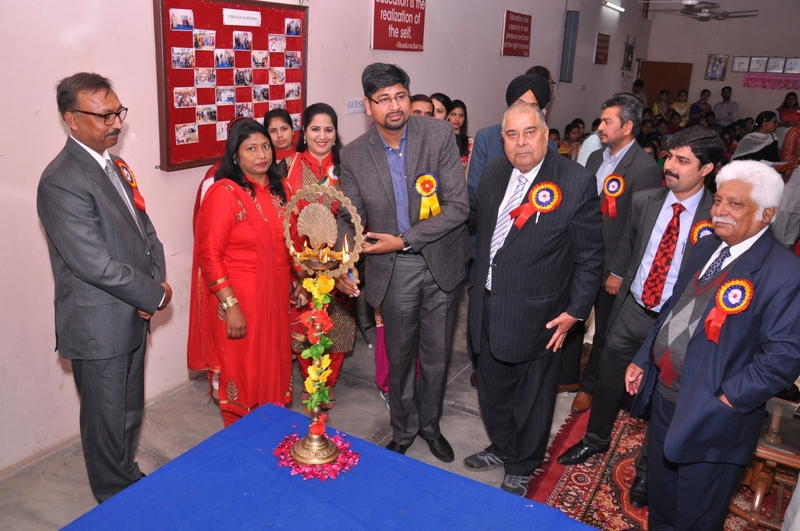 Orientation day was held in Sai College of Education, Jadla on 26 August 2015. A well organized orientation day was conducted in which students of new session for B.Ed course was introduced with the college rules and regulations as well as with the various activities and competitions to be held in the session throughout the year. Our college Principal, Dr. Vivek Kaushik welcomed all the students and introduced them with the college staff, gave them well wishes and success for the upcoming session. After the whole orientation, was celebrated by the college cultural committee which was well organized by the college B.Ed students. 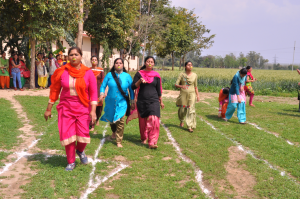 Teachers’ Day was celebrated in Sai College of Education, Jadla on 5 Sep, 2015. A well organized teacher’s day was conducted in which students of B.Ed. 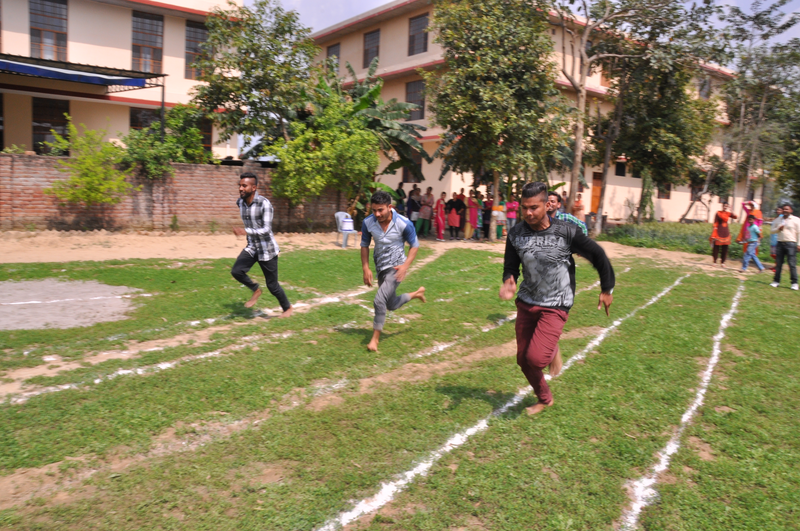 class performed various activities related to the event. Our college Principal, Dr. Vivek Kaushik gave his well wishes to the teachers and discussed the role of teachers and teacher educators for the nation building. He also focused on the inculcation of values and value oriented education. 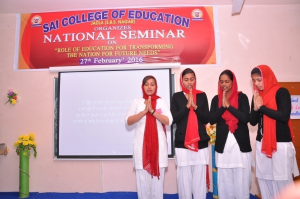 The students of Sai College of Education, Jadla celebrated Lohri in the campus on 13th January 2016. Bonfire was lit in the college campus and various cultural items were performed depicting the rich heritage of our culture. Dr. H.S. Birdi Campus Director greeted the occasion by his presence Dr. Vivek Kaushik Principal Sai College of Education, Jadla welcomed him and wished all the staff and students a very happy lohri and prosperous new year. Sai College of Education, Jadla (Nsr.) celebrated morning assembly on the theme of Basant Panchmi on 10th Feb, 2016 with full zeal and enthusiasm. Students of B.Ed participated passionately throughout the event. 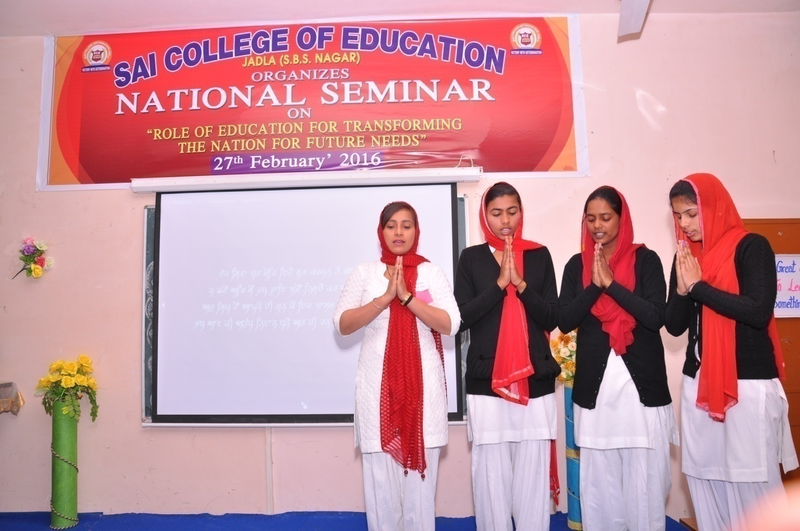 Following the tradition of the college, assembly was started with college Shabad which was followed by Punjabi songs, group dance, speech, poem recitation, group song and bhanghra according to the theme of the assembly. 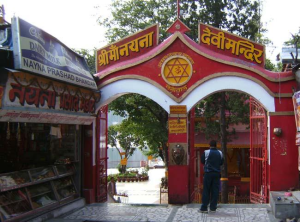 On the whole the students got acquainted with the facts and seasonal rituals associated with the festival. 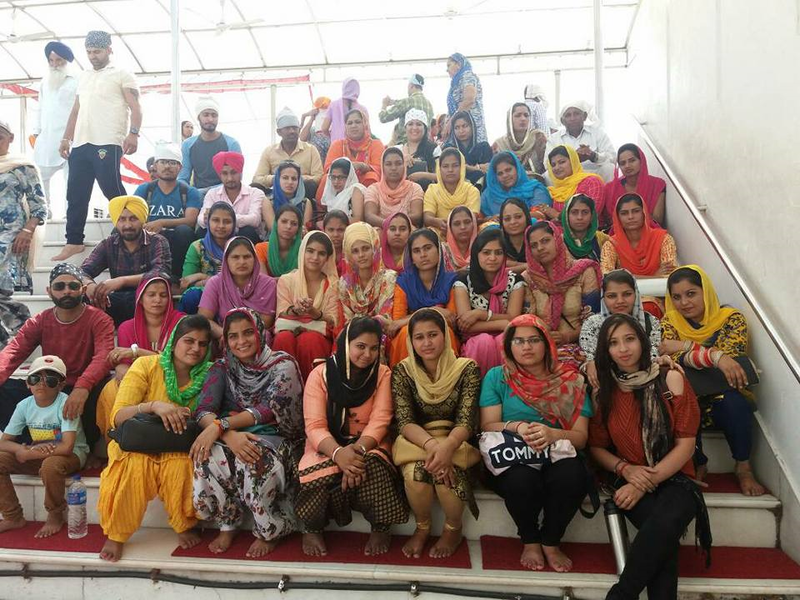 Sai College Of Education, Jadla (Nsr) organized One day trip to Naina Devi and Anandpur Sahib on 28th April, 2016. All students and staff members firstly went to Naina Devi Temple. 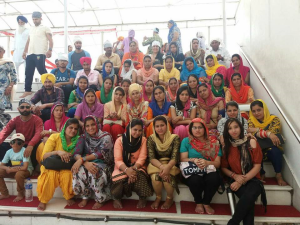 After that students went to the Anandpur Sahib. All the students were very enthusiastic to visit all the places and gathered lot of historical information. Session 2005-2006 is the first session of the college. 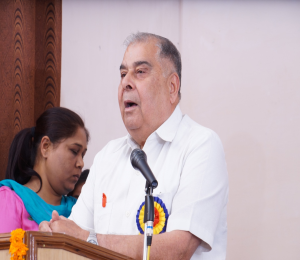 With the inception of the college it was thought foremost to engage the students in all the fruitful activities of social values to transform the lives of the people of the locality. University authorities were pursued for the grant of NSS unit to the college. On our request worthy Vice-Chancellor G.N.D.U., Amritsar granted One unit of NSS of 50 students. But students were so enthusiastic to join the NSS camp that number of volunteers rose to 61. So the college organised its first NSS camp in Govt. Sr. Sec. School, Jadla from 18-12-2005 to 27-12-2005 with all pump and show. Local members of The Gram Panchayat, Public of the village & particularly sarpanch Rana Kuldeep Singh who is also the President of Distt. 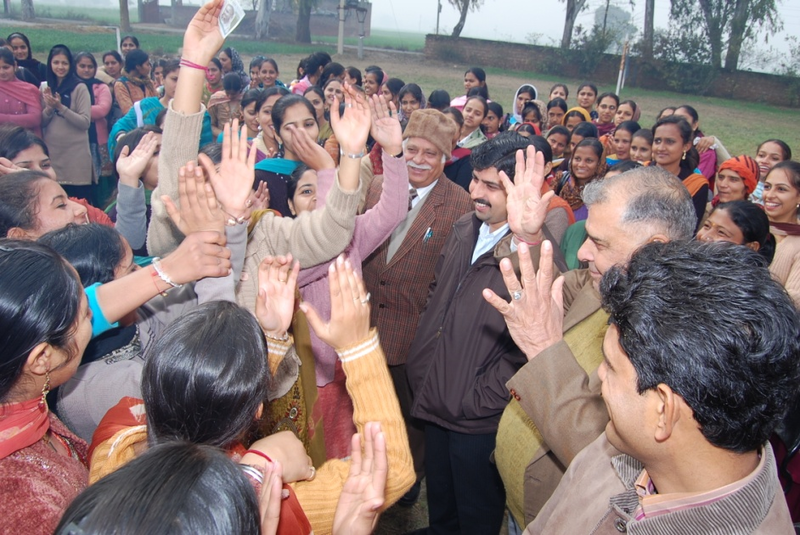 Congress Committee (Nawanshahr), Jadla co-operated / Co-ordinated with the camp for all the ten days. Volunteers were so eager to participate and so prepared to do different activities that discipline was no problem with them. They participated in cleanliness activities, cooking, white washing, and plantation etc. in the morning session. 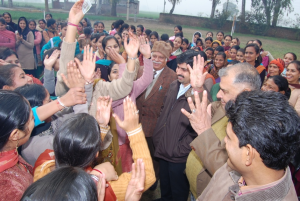 In the after-noon session volunteers organised and participated in Debate, Cultural Activities, Discussions on burning topics of the times such as Female Foeticide, Drug Addiction, Gambling, Alcoholism, Illiteracy etc. Concerned senior officers of Distt. 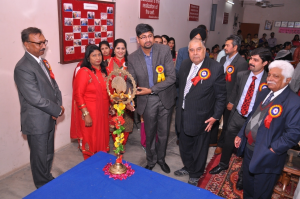 – Nawanshahr participated in all discussions of burning topics with the students. Particularly Mrs. Dr. Gupta & Dr. H.S.Gupta guided the students in all above discussions/debates & particularly delivered lecturers on Yoga, Better health and meditation. Volunteers of this college were so energetic & enthusiastic that they aimed to eradicate the evil within ten days of their camp, and bring new life to the existing setup. With this hope & destination in mind they made farewell to each other on the last day of the camp.